Escape The Rock at Council Rock South has quickly become one of the premier tournaments in Pennsylvania in recent years and the 2019 edition is no different. 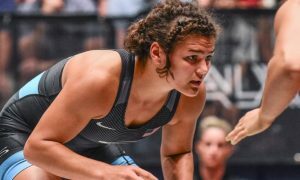 This year’s field features four ranked teams, a slew of national champions, and greater than 50 NHSCA, FloNational, Fargo or Super 32 All-Americans. With that in mind, here are the things I’m most interested in this weekend. 1) Who comes out of a tough 113-pound field?